He was born April 6, 1924, in Dale, Indiana, to Ollie and Elsie (Meyer) Buse; and married June M. Kemper on March 10, 1967, at the Lynnville Methodist Church. Esto worked as a supervisor at the Holland Dairy and Alcoa, where he retired. He enjoyed working on the farm, fox hunting and watching sports. He was a member of St. James Lutheran Church in Holland. He was preceded in death by his parents; two children, Linda Barnes and infant Brian Buse; and eight siblings, Bernice Siebe, Geneva Anderson, Margie Rothert, Betty Neukam, Andrew Buse, Wendell Buse, Henry Buse and Dorothy Hildebrand. He is survived by his wife, June M. Buse of Holland, Ind. ; nine children, Ervin (Rebecca) Buse of Terre Haute, Ind., Bill (Mag Medcalf) Buse of Huntingburg, Ind., Barbara (Layden) Siders of Levelland, Texas, Bob (Shirlene) Buse of Lynnville, Ind., Lena (Fred) Giles of Holland, Ind., Jeff (Kathy) Buse of Santa Claus, Ind., Keith (Annette) Buse of Lynnville, Ind., Kaleb (Laura) Buse of Holland, Ind., and Karen (Ryan) Bettag of Ferdinand, Ind. ; by 31 grandchildren, 39 great grandchildren and 4 great-great grandchildren. 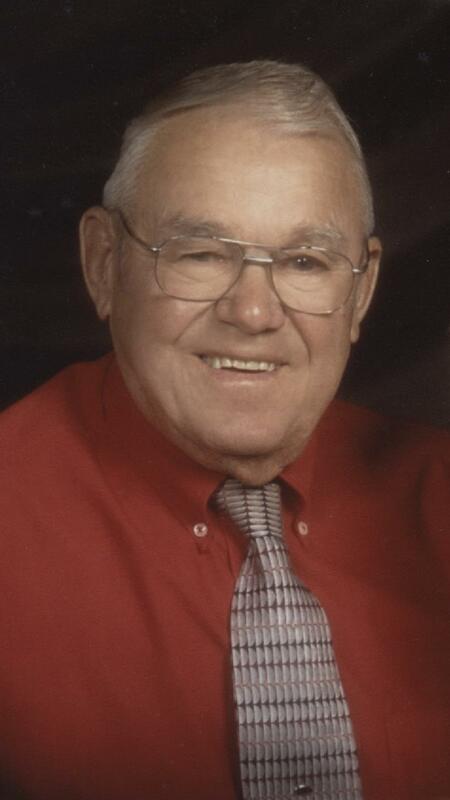 Funeral services for Esto Ervin Buse will be held at 10:00 a.m., E.S.T., on Monday, February 11, 2019, at St. James Lutheran Church in Holland, with burial to follow at the St. James Lutheran Cemetery. Pastor David Darling will officiate at the service. Friends may call for visitation from 2:00-7:00 p.m., on Sunday, February 10th, at the Nass & Son Funeral Home in Huntingburg; and also from 9:00-10:00 a.m., Monday, at the church.